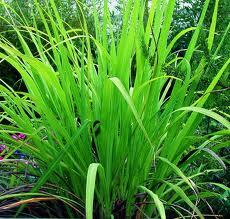 Palmarosa oil (cymbopogon martinii) has a soft, lemony-fresh green scent with hints of geranium and rose. It is very soothing and balancing, with both cooling and uplifting properties. Palmarosa is helpful for dry, undernourished skin conditions, reducing the appearance of wrinkles and improving the appearance of all skin types. Its ability to tonify gives it a superb hydrating property and contributes greatly to the antibacterial and antimicrobial properties of our Nori Plus cleansing soap. Because of Palmarosa's excellent properties on the skin, it makes a wonderful addition to our cream.